How to get your target customers to your site? Getting your targeted traffic to your site is very challenging and rewarding at the same time. The common mistake people make is to write content for highly competitive keywords. They are very generalist in nature thus they neither bring a large number of potential buyers nor they present good ranking opportunities. Consider this example, if you are in web design business what would your prospective customer search for if he looking to get his website designed? Will he search for “best web design company in Ney York (location)” or just “web designing”? The answer is obvious. Instead of focusing all your attention on head keywords we should focus on targeting content for long-tail keywords also. For example, if your site is about online textbook rentals your head keywords would be e-books, online textbooks etc. and your long tail keywords would be textbooks rentals online, cheap textbook rental online, should I buy or rent textbooks etc. 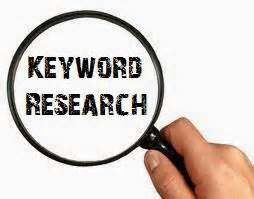 Focusing closely on more specific keywords reduces competition and brings in more targeted consumers that are likely to buy your products. Writing content that is consistent with our brand goals but also appeals to the target audience is a challenge. It involves considerable time and effort in brainstorming ideas that solve the most pressing problems of our target customers. Also, we should avoid repetition of same words in our composition and rather include synonyms or what google popularly considers as Latent Semantic Indexing (LSI) keywords. These words cater to the similar target audience and are highly related to the content main keywords. For example, if the site is about volleyball then the semantic keywords would be equipment of volleyball, 10 rules of volleyball, volleyball ball price etc. Use Google Analytics to find what keywords are bringing visitors to your site in the present scenario. Google Keywords Planner and Google Suggest should be used to look for related keywords. Use Google Trends to check the most appropriate keywords for your target location. You can also compare the popularity of various keywords you already chose. You may also use Wikipedia to see suggested terms your prospective customer is likely to search for. Use Latent Semantic Keywords (LSI) to bring relevance and content to the site. You can use site lsigraph.com to see suggested keywords for your query. Using question and answer sites like Quora and yahoo answers can help you get a general idea about the queries of your target audience. To analyze the most trending topics in social media you can use buzz sumo. It provides you with trending topics and is very helpful in generating content ideas around share-worthy content. There are a number of factors that influence your rankings in SERP. Know about the On-Page SEO factors that influence your site rankings.